TASHKENT (UzTAG) — Kagan, Yangiyul and Chartak municipalities of Uzbekistan are starting the implementation of the national program for the development of medium-sized cities (with a population of 50-100 thousand people). 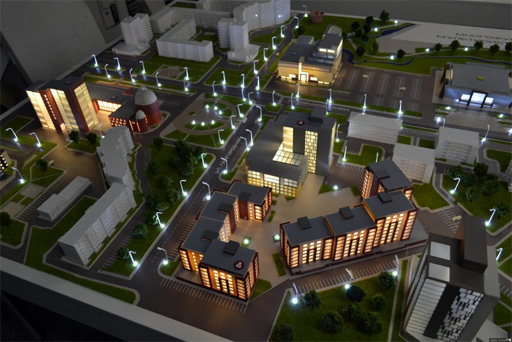 According to the State Investment Committee, the government of Uzbekistan appealed to the World Bank (WB) to support the development of the National Program for the Development of Medium-Sized Cities (NPDMS), for the complex resolution of key tasks based on the experience of other projects of the bank. The NPDMS will support the overarching goal of the development of the government in achieving the implementation of the “integrated and balanced social and economic development of regions, districts and cities” of Uzbekistan. The program, as follows, is conceived as a long-term national program designed for medium-sized cities, and supports innovative approaches adapted to the country’s conditions, to promote integrated urban and territorial development and the integrated transformation of target cities, through the effective management of urban systems. Additional urban infrastructure and services improvement the selected infrastructures and services that are part of the larger networks on an individual basis, as needed, will be financed and this will complement the long-term functions which will increase the efficiency of modernization of urban areas). This component will be implemented in three cities of Uzbekistan: Kagan (Kagansky district of Bukhara region), Yangiyul (Yangiyul region of Tashkent region) and Chartak (Chartak district of Namangan region).